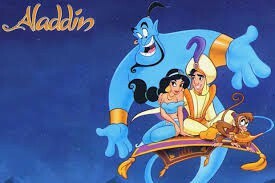 On Wednesday, April 17th the Cooper 6th grade vocal classes will perform a concert presentation of "Aladdin, kids" at Franklin High School at 7:00 PM. All 6th grade vocal students are participating in this exciting event and all are welcome to enjoy the classic Disney songs we have all grown to love, including "Arabian Nights", "A Friend Like Me", and "Prince Ali". There is no charge for this concert. When: Wednesday, March 27th at 7p.m. Special Note: Students are responsible for bringing a music stand to the concert. Your child may share a stand with another student of the same instrument and is welcome to borrow one from me. Music stands will be handed out in class to any student that requests one. Please let me know if you have any questions or if your child is unable to attend. All orders can be placed online with a credit card. 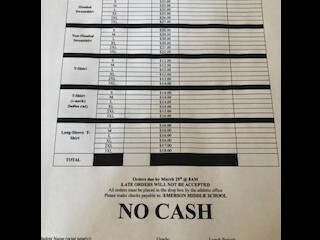 The link for our school is https://groupmatics.events/event/Cooperupper7 You will be able to SELECT your seats from the block that is on hold for us and PRINT your tickets after completing your order. Nominations for the 2019-20 PTA Executive Board are now being taken. All positions are open annually in accordance with our bylaws. We welcome everyone interested in a position to come forward. This is a great opportunity for you to stay involved in our Cooper community. Nominations can be made by filling out this form and returning it to school in your child’s take-home folder, dropping in the PTA mailbox in the office, or bring them to the April or May board meetings. You may place a nomination for yourself or someone else you feel would be a great candidate for the job. Anyone who has expressed an interest verbally will also need to fill out this form. All those nominated will be contacted before the vote in order to accept or decline. Once voted upon the person must be a member of the PTA to accept the position. Please return completed form to the PTA mailbox in the office, return in your child’s take-home folder, or bring to the April or May PTA meeting.